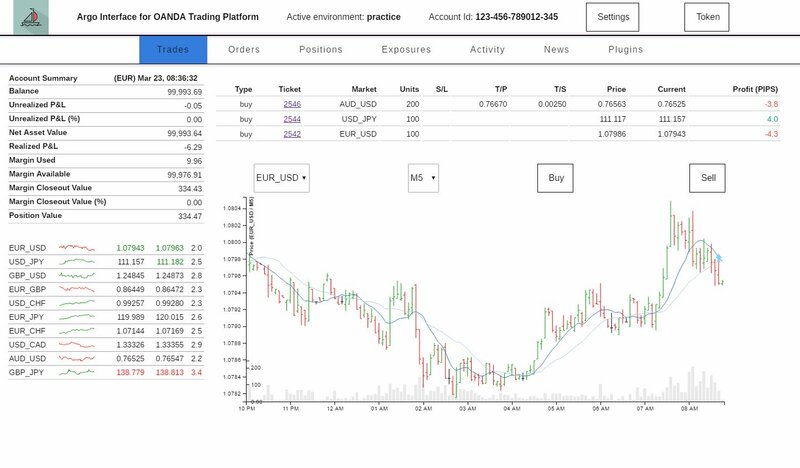 Argo is an open source trading platform, based on HTML5 technology, connecting directly with OANDA through the powerful API to develop trading strategies. Account summary updated for each event. Quotes and spreads list updated tick-by-tick. Charts with different time frames updated tick-by-tick. Market and limit orders with stop loss, take profit and trailing stop. Trades list with current and profit updated tick-by-tick. Orders list with distance updated tick-by-tick. Eventually point your web brower to http://localhost:8000. Finally you can use the standalone app. seed The mother of all plugins. NOT INVESTMENT ADVICE AND WILL LOSE LOTS OF MONEY SO PROCEED WITH CAUTION.